A seminar “Geovisualization of cultural heritage resources on the Internet” took place on 7 September 2010 in Central Archives of Historical Records, Warsaw. The seminar presented the results of the research project “Methods of mapping movable monuments“, which was carried out by the Institute of Geodesy and Cartography and the Research and Academic Computer Network. 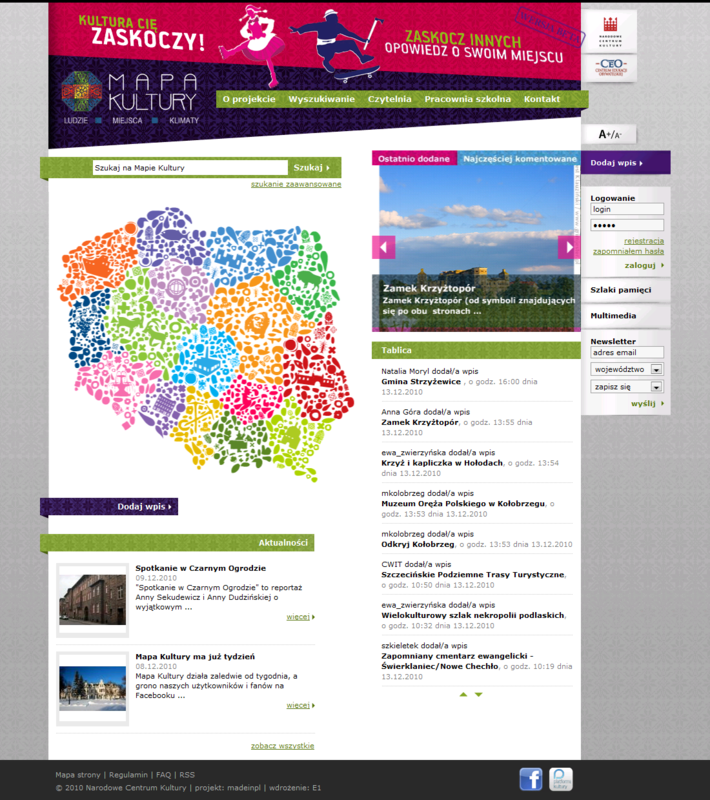 The project focused on the presentation of movable monuments on the map in a new and attractive form for the user. The aim was to enable users to get to the objects descriptions and presentations using advanced navigation on the map, taking into account the characteristics of movable monuments. Figure 1. 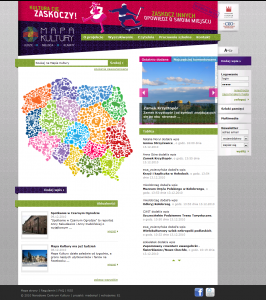 Map of Polish cultural heritage. In the case of monuments, spatial reference is often associated with the old naming and administrative division. Therefore, the descriptions of movable monuments have been prepared by various experts, including archivists and historians. is shown in a clear, eye-catching way. works of art from the church in Żórawin – the result of collaboration with the staff of Art History Institute of the University of Wroclaw. ObjectId – for the monuments. Furthermore, a created software is a mixture of free (for example: PostgreSQL + PostGIS) and commercial (eg: ActionScript 3) solutions. We encourage you to look at the project and test it! More information about the project can be found here, while on the seminar here. All those pages are publicly available. an e-mail group for contact between delving software developers. 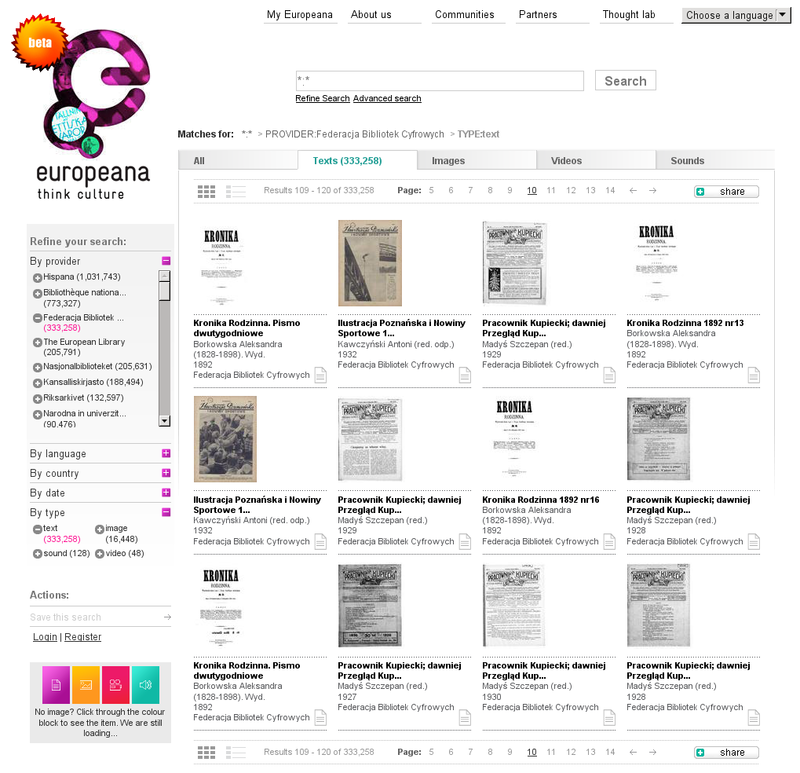 More details on how to join the development of Europeana and the differences between EuropeanaLabs and delving can be found here. 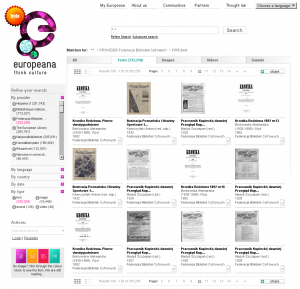 The Europeana annual report also lists reasons for described behaviour: transparency and the sharing of work outcomes that fall clearly in the form of European Union initiatives. 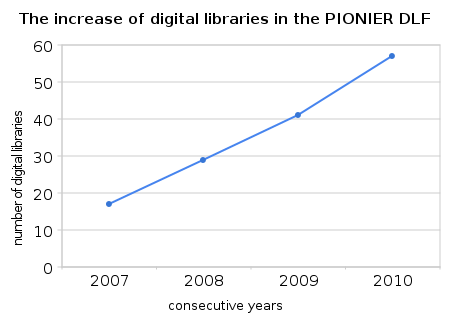 Time will tell whether the openness towards Open Source community will bring Europeana tangible benefits. Today is the beginning of the road and we can only guess. But I hope that this initiative will end successfully and Europeana will also include a code of developers, which are not affiliated with projects around the Europeana. 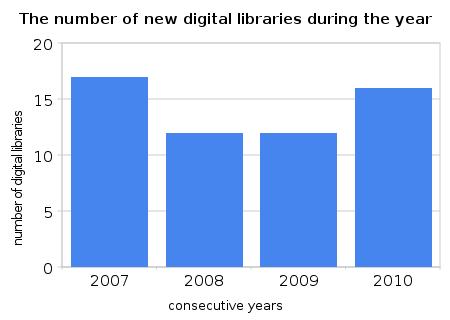 Apart from business trips targeting at deepening the knowledge and exchanging experiences in the field of digital libraries (trips to conferences such as ECDL, JCDL), we remember also about development in the general understood IT field. Hence the idea to take part in the conference focusing on diverse IT topics. Such conference allows us to become familiar with the innovations from the world of IT and use them potentially in our projects. Joe Armstrong (creator of Erlang programming language, http://armstrongonsoftware.blogspot.com/). He indicated the attempts to solve this problem by various concepts of project management involving the increased formalism (e.g. : ISO9000) or increased agility (e.g. : XP). Both approaches, however, have their drawbacks (formalism: too much documentation, slow decision-making process; agility: no customer on the spot, too short prospect of a plan). Therefore, prof. Nawrocki proposed new project management methodology – XPrince, which takes from both approaches their best, in this way trying to tackle their weaknesses. Quoting the speaker “XP – not on an empty stomach and not before the bedtime”. More on this topic here. algorithm is an important tool, but we cannot forget that it is also important to present results appropriate on the web page. Finally short summaries of two other interesting presentations. The first is the lecture on BCI (brain-computer interface) presenting the basic mechanisms by which those devices operate. Speaker mentioned also about the work carried out in this field in Poland at the University of Warsaw – a complete open platform for BCI – OpenBCI. The second presentation was about a tool for building code of IT projects in a flexible manner – Gradle. This project combines the advantages of Ant, Apache Ivy and Maven2, while removing their defects. Additionally on the SFI’s site can be found videos of presentations from various festival editions. We encourage you to watch!